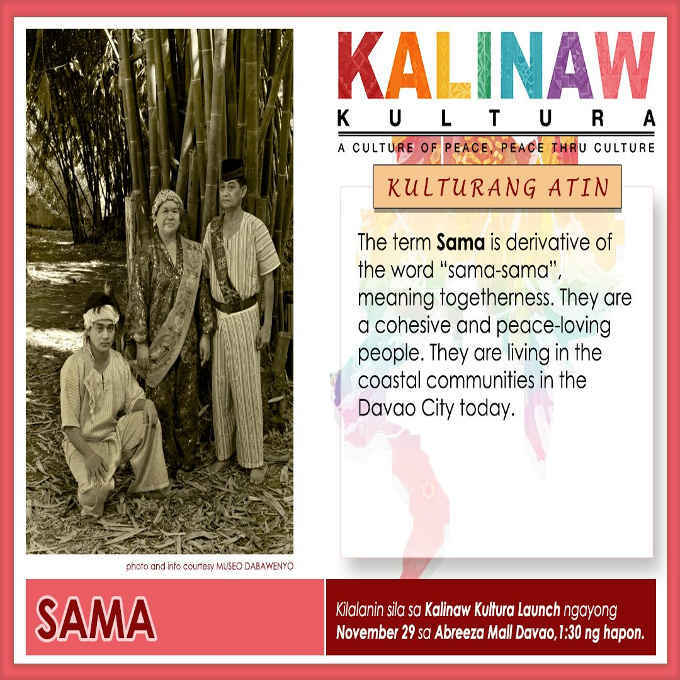 The term Sama is derivative of the word “sama-sama”, meaning togetherness. They are a cohesive and peace-loving people. They are living in the coastal communities in the Davao City today.